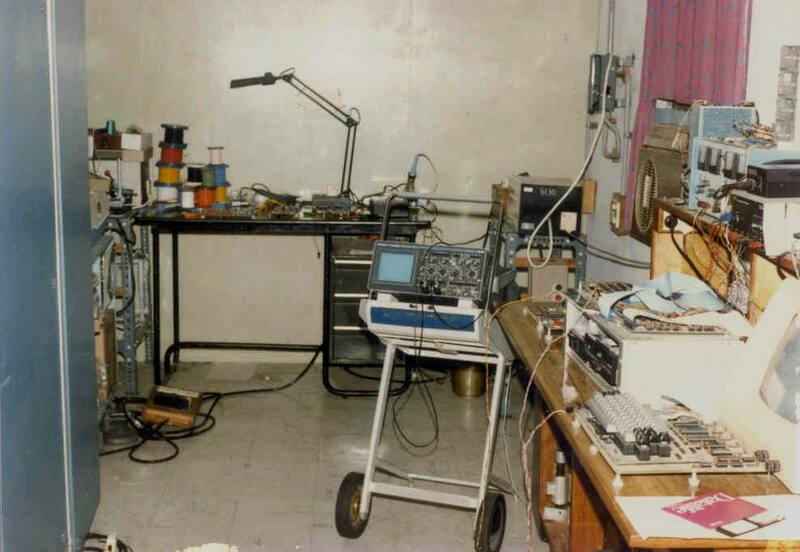 The Lab in 1987. 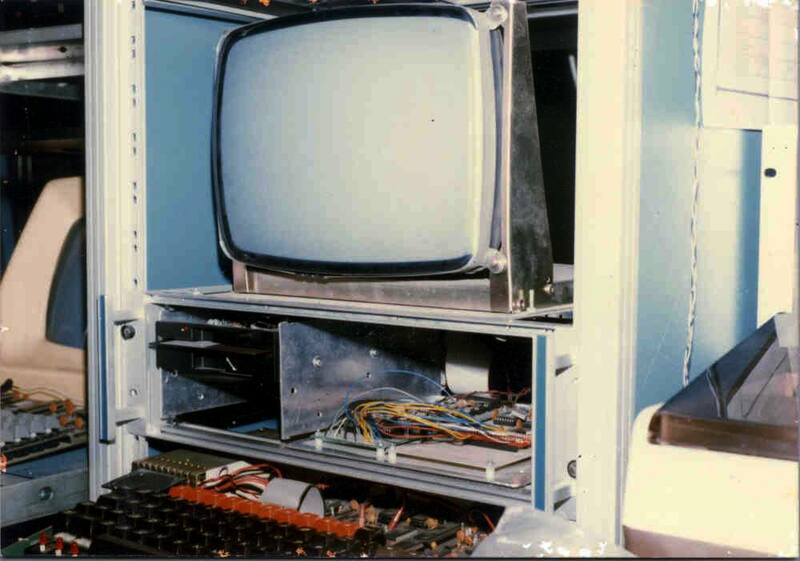 Wire wrapping was the only available alternative for us to build systems. The oscilloscope (Philips) was our trusted friend and together with Moghe's simple Logic Analyzer we troubleshooted the home brew machines with remarakable ease! 2MHz clock speed at best! A BBC Micro was used as the front end to a system running CPM on an 8085 board (seen in the 19 inch rack) connected to a 5.25 inch diskette drive on an intelligent controller. Notice the open video monitor. The suppliers of the BBC micro would not have relished our tinkering with the machine and replacing the system ROM to work with the new hardware! 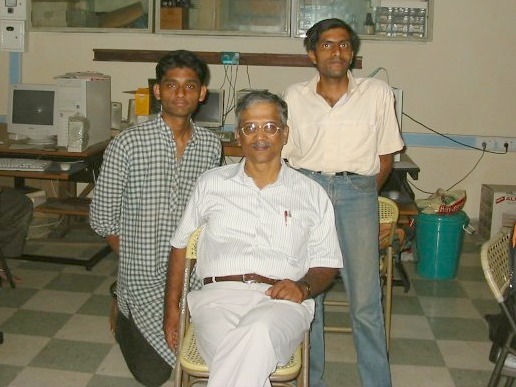 Nawaaz, Ajit Natarajan, Rajagopalan with Sanjoy Sen and RKK (1994). Ajit has never forgiven RKK for not teaching his class even one course but nevertheless extracted work! How unfair? B.Techs (1997) and M.Tech together, a rarity in the department. 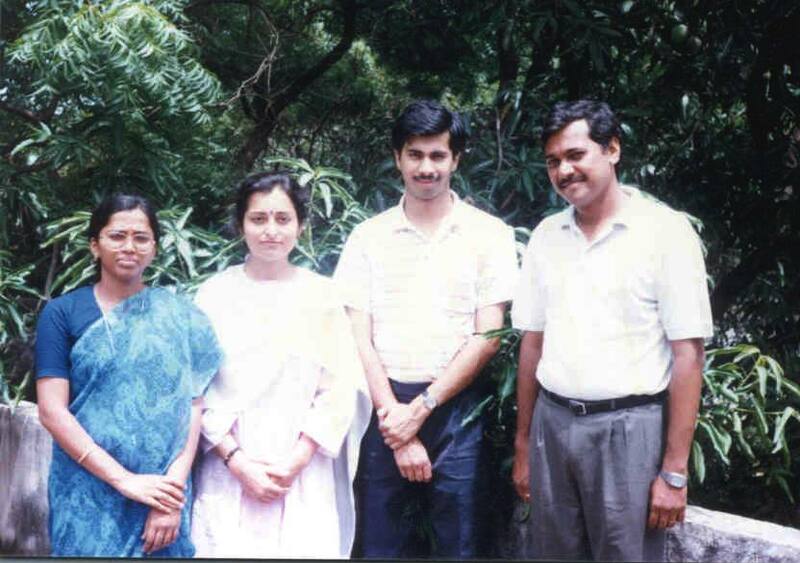 Raghavendra, Mathew George, Aparna, Indira and Manjunatha. Look at the pile of stuff stacked against the wall. We never really threw any thing out until we were forced to do so after the fire in 2001. Yes, the students do smile. Not for the photograph but when they shared a hilarious moment. It was often something that did not work when one was sure it would. 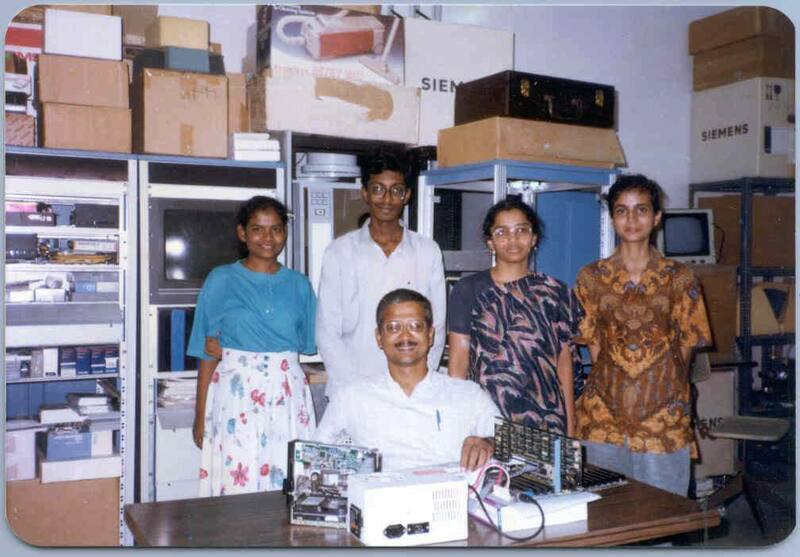 New in this photo are Thileepan Subramnian, Shilpa, Anita and Rajasree (1997). 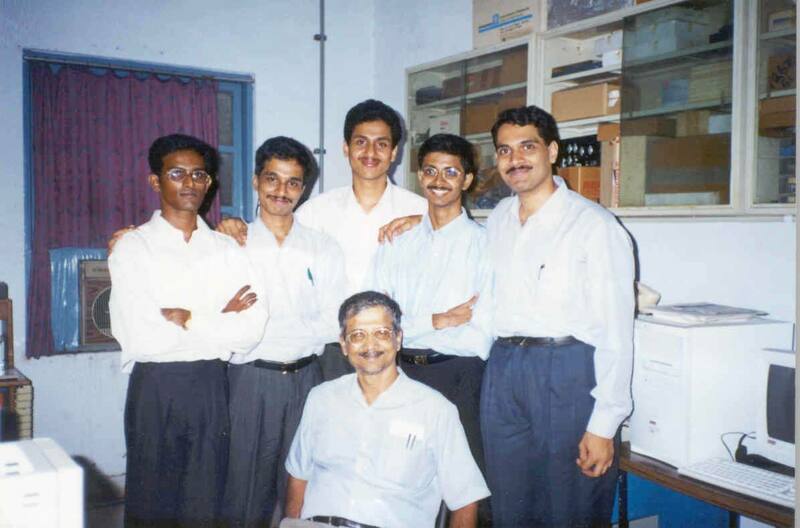 B.Tech 1999. When we reluctantly went back to work with Microsoft Windows but did produce that popular editor. 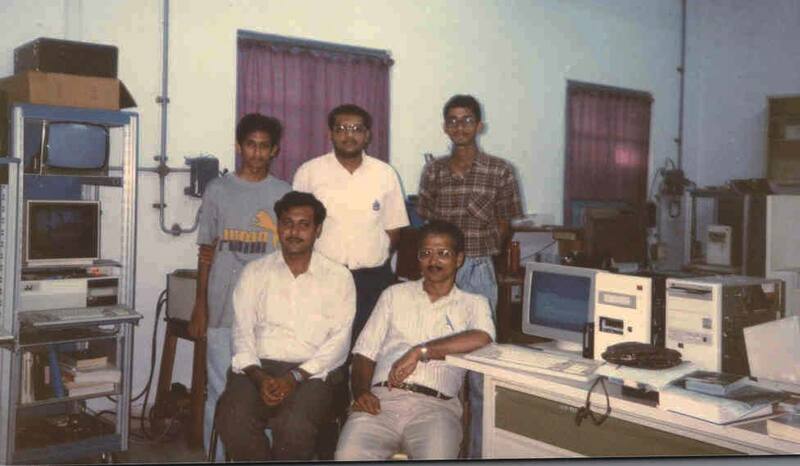 Subramanian, Ramadas, Kartik, Gokul and Bharat. M.Tech 2003. For several years, the M.techs had dreaded RKK and avoided projects at SDL. 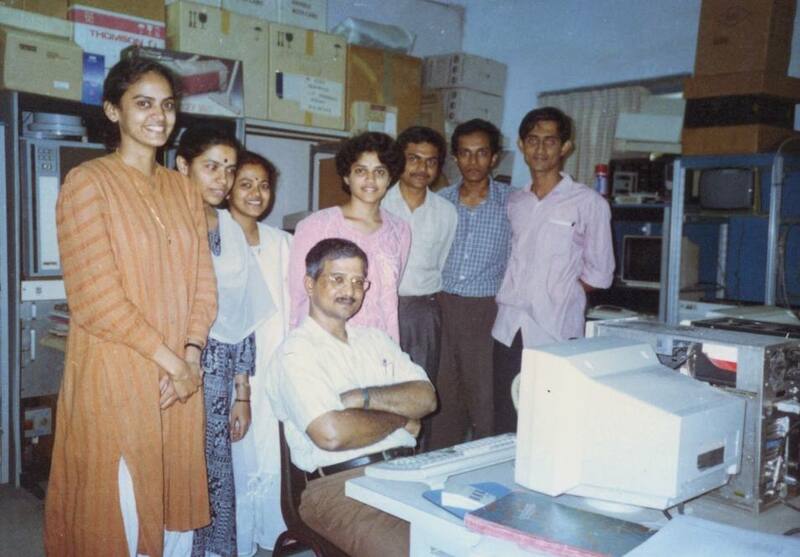 It was Graphics and Device Drivers that bribed this fine set of students into stepping inside the lab. The M.Techs of today continue to dread RKK! No one wants to work in SDL any more! Neena Pandey, Nageshwar, Vishal Sahare, Milind and Shivpal Singh. 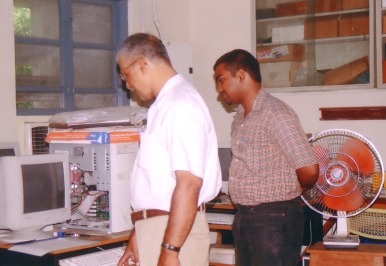 Rahul Pratap and Pranay Kumar kept the project running during this period (2003-2004). Pranay was the last of the Computer Science B.Techs to work in the lab. Subsequent to his graduation, B.Techs seem to have developed an aversion for program development. They prefer writing papers to producing code! 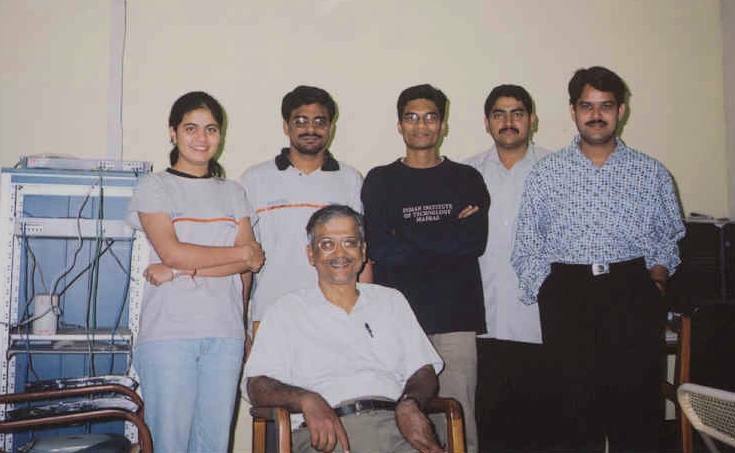 2006- After a gap of some three years, the lab was fortunate enough to see further progress with students from other departments and other Institutions as well. Satish Chandran, Undergraduate student from a Private Engineering College, contributed significantly to the effort. 2006-2007 Revival of contributions from M.Tech students was a blessing. 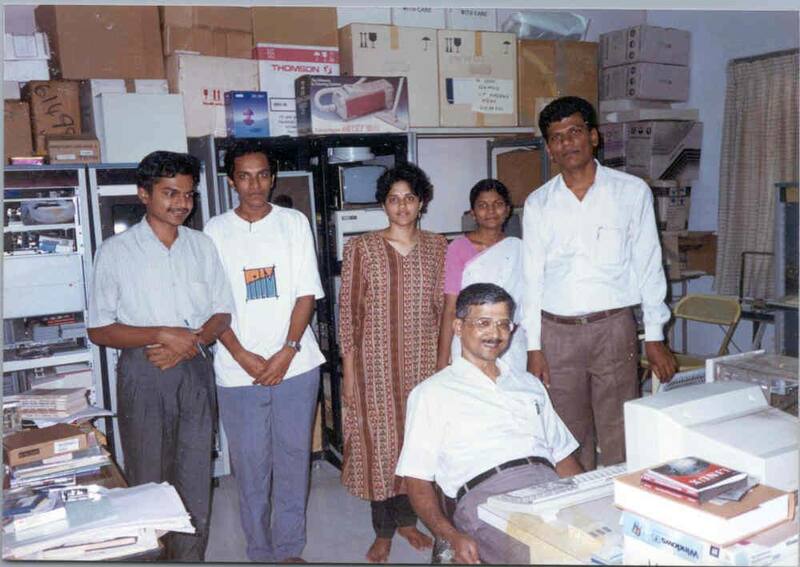 Radhika and Rajasekhar brought back an environment that saw further development of applications. 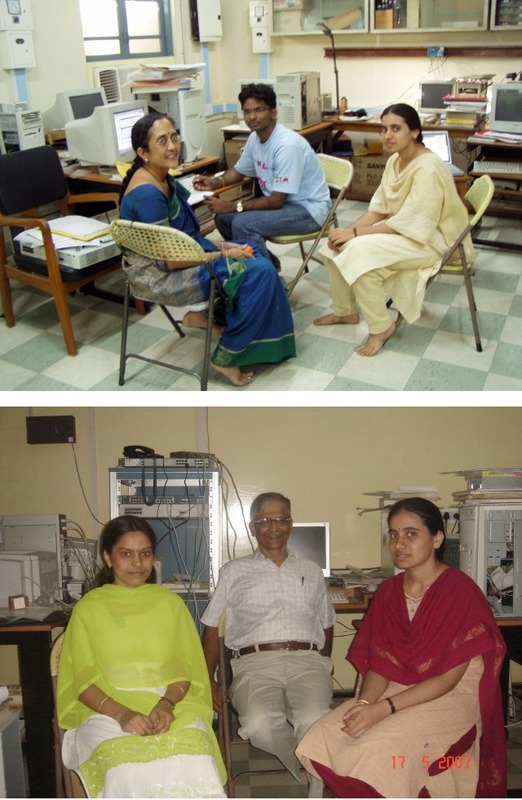 Mrs. Uma Rao from Matruchhaya, Bangalore, visited the lab to carry back the reverse Braille Transcription utility. The linked image has two pictures, the second with Ramyasree and Radhika. Ramyasree was instrumental in developing an online c-compiler for use by the B.Techs. The lab was started in 1976 as a teaching lab where concepts learnt in the class could be demonstrated with practical systems. The lab had earned the name "Hardware Lab" as a consequence. Little had we anticipated that ten years down the line, the emphasis would shift from building hardware to looking at social problems. "An experimental system for computer science instruction"
presented at the 7th ACM conference on Computer Architecture , Stockholm 1983 has much information to offer. (Search for the title under Google's advanced search if you would like to read about how the very first but crude ethernet was built in the country, right in this lab.